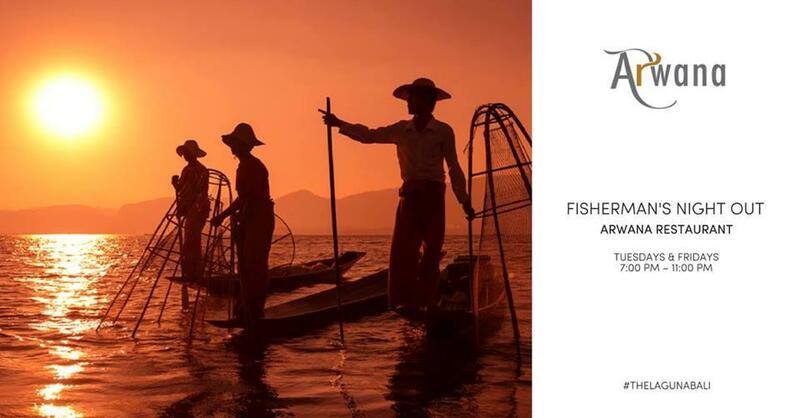 Tantalize your taste buds at Fisherman’s Night Out on the pristine beach of Nusa Dua where fresh catches from our local fishermen take center stage. Under a starry night few steps from the Indian Ocean, relish in contemporary and diverse menu which showcases the bounty of the ocean in all its flair combined with unique flavors of Bali. Delight in the four-station offerings of fish, prawns, lobsters, crabs to meat carving station and much more. Let the acoustic sound of sea melodies enhance and complete an unforgettable epicurean journey.